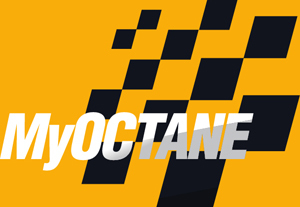 MyOctane is a transmedia production company and one of our key motoring partners. The company was established to help realize a very African dream of co-creating the world’s wildest motoring show. After more than four years of blood sweat and tears the #MyOctane team mastered our motoring reality driven narratives, and the training we put in has paid off. We have produced several VLOGCAST specials against all odds; which will be aired at strategic intervals, after the launch of our weekly MyOctane Vlogcast Live stream broadcasts. MyOctane’s passion is driven by its partners and executive producers: Allen Irwin (Hard Drive), Nico Van Den Heever (VCI), Craig Sobotker (Craig’s Car Care), Carlos Monteiro (Vamedias) and the organization is helmed by Bradley Jon Eaglefeather a South African Transmedia Producer and Conceptual Director. Hard Drive is led by Allen Irwin one of South Africa’s leading stunt and precision drivers within the local film industry. 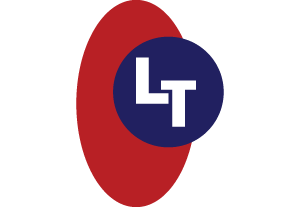 The company offers its clients a complete turnkey solution from precision driving to vehicle action creation. Services include vehicle profiling, vehicle sourcing, vehicle suitability evaluation based on the action sequence required, and action planning as well as the vehicle chase choreography. Hard Drive also offers clients a course based system where stunt performers have an opportunity to hone their advanced driving skills, thus empowering the talent pool within the local film industry through our motoring partners work. Allen also offers custom driving courses for actors, artists and classic car collectors who want to radically improve their overall driving ability behind the wheel. Vamedias or Vision Afro Medias is a TV and Film production studio based in Cape Town, run by Carlos Monteiro. Vamedias offers its clients a full turnkey solution for all their shooting needs from studio hire; to cameras (including 4K), lighting, sound design, VFX, film personnel hire, green screen facilities, virtual set design, and a Newtek 8000 Tricaster for live streaming of any event or production to multiple social media platforms simultaneously (YouTube, Facebook, Google+, Periscope). Vamedias produces original content which includes both scripted and unscripted content, music videos, corporate videos, documentaries, podcasting production with live streaming. The studios passion, professionalism and the deep desire to strive for excellence is what defines their work as one of our motoring partners. Synapses Creatives is a creative digital agency with offices in Cape Town, London and Paris, which was founded by Shabani Yamba. 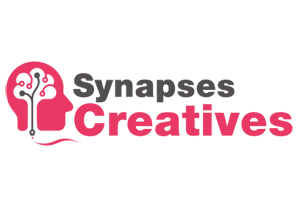 Synapses Creatives team of brilliant minds are always ready to tackle clients business issues or digital campaigns using their creativity and problem solving skills. The agency offer clients responsive website design and development, graphic design, corporate branding, video production and marketing strategies, 3D animation and ecommerce solutions. The agency works with highly talented freelancers from around the world who are always on hand to facilitate any specialized digital campaign requirements. Synapses Creatives brings brand messaging to life in an ever changing global marketplace through innovative and meaningful engagements. Savino Del Bene’s promises its clients expert intelligence because they understand that time is money, and they no longer compete based only on their ability to simply deliver ‘the package’, but rather by focussing on turning the data and information around the package into something of greater value. The Group operates world-wide through its 60 subsidiaries in 37 countries, with 170 commercial offices. 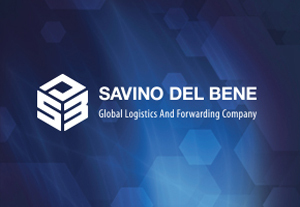 Savino Del Bene’s Head Offices are situated in Florence, Italy and the Group has its own facilities in the Americas, Africa, Asia, Europe, Australia and the Indian Sub-Continent making them one of our most important motoring partners. Aviocean Natal has expanded over the years with offices in Durban (Head Office), Aviocean Cape Town and in Johannesburg as Avio Clearing & Forwarding. Aviocean is strategically situated for easy access to ports, airports, container terminals, customs offices, port authorities and major shipping lines. 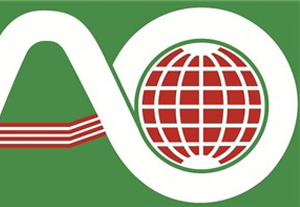 The group offers its clients a wide range of services from imports, to exports of airfreight, seafreight; both rail and road freight; bonded warehousing; long and short-term storage options; marine insurance to build value into every project while delivering professional service and providing expert logistical advise. 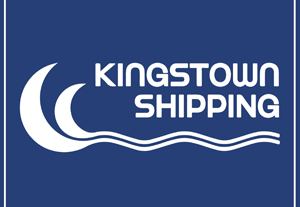 Kingstown Shipping is international shipping specialist of cars, motorcycles, RVs, trailers, caravans, boats and general freight, focused on the USA / UK / USA trade route since 1986. Our motoring partners freight forwarding services includes vehicle collection and delivery, import and export container packing, shared or sole use container shipping; for either running and non-running autos; RORO and car carrier shipping; customs clearance and general freight forwarding and customs bonded warehousing. Kingstown Shipping does all its imports and exports through its network of warehouses situated in Canada, Australia, New Zealand, South Africa and the Far East. Sakkie Breytenbach started Leather Tek in Pretoria in 1987, with Pieter Van Der Merwe branching out in 1993 and bringing the superior service and excellent workmanship to Cape Town. Leather Tek is the leading trimming and automotive specialist in Cape Town offering clients: leather seat manufacture, redying of leather seats, carpets and roof linings, dash board and plastic bumper repairs, invisible mending on leather and vinyl, as well as truck and bus seats. Since its inception, Leather Tek has built up a large customer base including: Daimler Chrysler, BMW, Porsche, Volkswagen, Toyota, Nissan, Ford and Subaru… Just to name a few!